Both moats look wide. But this simple fact tips the scales. 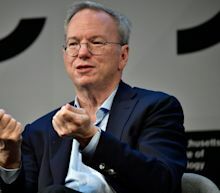 Technology firms should do more to connect people in positive ways and steer away from trends that have tended to exploit human weaknesses, ethicists told a meeting of Silicon Valley leaders on Tuesday. Tristan Harris and Aza Raskin are the co-founders of the nonprofit Center for Humane Technology and the ones who prompted Apple and Google to nudge phone users toward reducing their screen time. Now they want companies and regulators to focus on reversing what they called "human downgrading," which they see as at the root of a dozen worsening problems, by reconsidering the design and financial incentives of their systems. What turns the tide in favor of equities? How do we get people back in to own stocks instead of hiding on the sidelines? Simple. There has to be a concerted effort by everyone who stands to gain from stock ownership to speak up and talk about its advantages versus other classes. The top Democrats and Republicans on the U.S. House Energy and Commerce Committee on Tuesday wrote Google Chief Executive Sundar Pichai raising concerns about reports of a massive database known as Sensorvault containing precise consumer location information on hundreds of millions of devices. The letter is one of several sent by members of Congress raising concerns about how Google or other big Internet companies use information they have gathered about consumers. The letter, which was signed by Democratic Representatives Frank Pallone and Jan Schakowsky and Republicans Greg Walden and Cathy McMorris Rodgers, asked Google who has access to the Sensorvault database and which Google services or apps collect the information. Sometimes it pays for competitors to be partners. Alphabet (GOOGL) closed the most recent trading day at $1,270.59, moving +1.34% from the previous trading session. Google’s self-driving car spinoff Waymo says it will reopen an axle plant in Detroit to convert conventional vehicles so they can drive autonomously. Alphabet Inc's Google has completed a 10,000-kilometer (6,214-mile) subsea cable linking the coast of California to Chile, a key step in its plans to bolster its global cloud computing infrastructure. The cable, dubbed the "Curie" project, arrived at the Chilean port of Valparaiso on Tuesday, Google said in a post on their regional website. Google has been investing heavily in technology infrastructure, especially in vital submarine cables connecting up its global network. Alphabet Inc's Wing Aviation unit on Tuesday got the okay to start delivering goods by drone in Virginia later this year, making the sister unit of search engine Google the first company to get U.S. air carrier certification, the Federal Aviation Administration said. Wing Aviation plans to start commercial package delivery in Blacksburg, Virginia, later this year. Wing partnered with the Mid-Atlantic Aviation Partnership and Virginia Tech as one of the participants in the Transportation Department’s Unmanned Aircraft Systems Integration Pilot Program. The subsidiary, Wing Aviation LLC, now has the same certifications that smaller airlines receive from the U.S. Federal Aviation Administration and the Department of Transportation. It plans to begin routine deliveries of small consumer items in two rural communities in Virginia within months, the company said. “It’s an exciting moment for us to have earned the FAA’s approval to actually run a business with our technology,” Wing Chief Executive Officer James Ryan Burgess said in an interview.